My name is Sam, I just bought my first "REAL RUNNING" VW last week. I owned an '89 Fox long ago, but I gave up trying to get the turd to go. 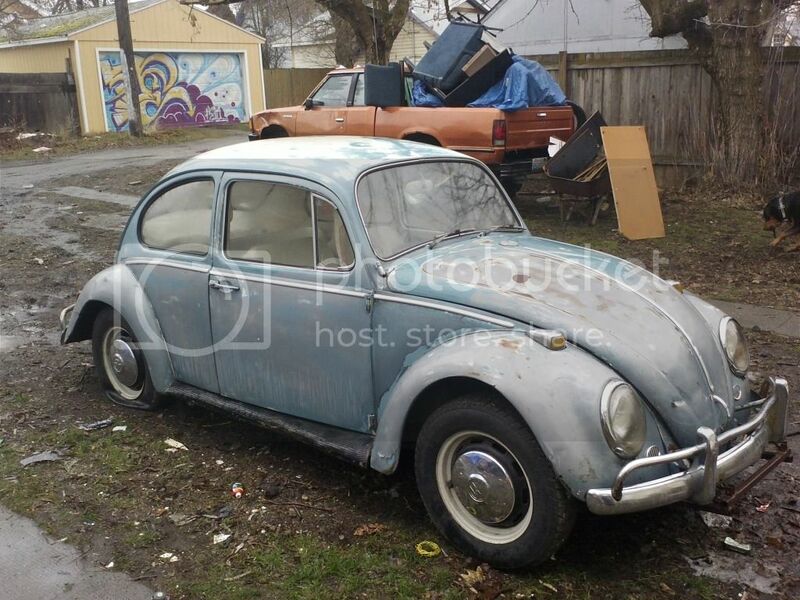 I now own a '66 bug, and I LOVE it. I have lived in Spokane all my life and am looking forward to meeting people here, and attending some VW events this year. ...and since I don't know a WHOLE lot about air cooled, anything I should know is really appreciated, I know I have tons of questions already! So, you know 66 is kind of a one year only weird car right? Does the engine number start with "f"? I was told that '67 was the one year car, I know a lot of things were changed between '65 and '67 but '67 was the major stuff...I plan on leaving the body the way it is for the most part, I like the patina. I bought a 2 1/2" drop spindle kit and new interior stuff. Engine runs really smooth, but I think it needs a valve adjustment. Also bought a new exhaust system. I saw you driving that beast last week! Even took a picture cuz i want my 68 to have that same stance youve got now. Love the look with the dropped front end. Did you narrow your beam also or just do the spindles? Just put a pair of 2 1/2" drop spindles on it so far, I think I will either narrow it 3-4" or run a bit smaller tire up front, they rub when cornering. I am at the moment in the process of going 12v and creating a little "artificial patina." I stripped and sanded the center section down the the original white so it is now two-tone. Also plan on painting the wheels red. I just came into a bunch of 67 bug parts so let me know if you're in need of anything. I'm stoked to see the finished project!